Ranch Yogurt Dressing is a delightful salad dressing that’s healthy and delicious. 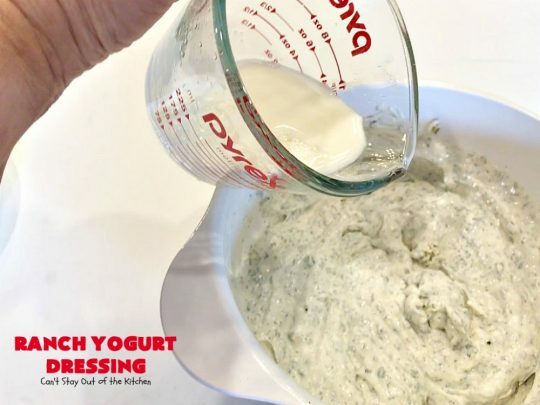 I started with my favorite Homemade Ranch Dressing Mix recipe, then added Greek yogurt and a little milk to get the dressing to the right consistency. I’ve used Homemade Ranch Dressing Mix in my Creamy Parmesan Ranch Dressing and it’s a little similar to my Creamy Parmesan Dressing but this uses Greek yogurt instead of mayonnaise or sour cream. 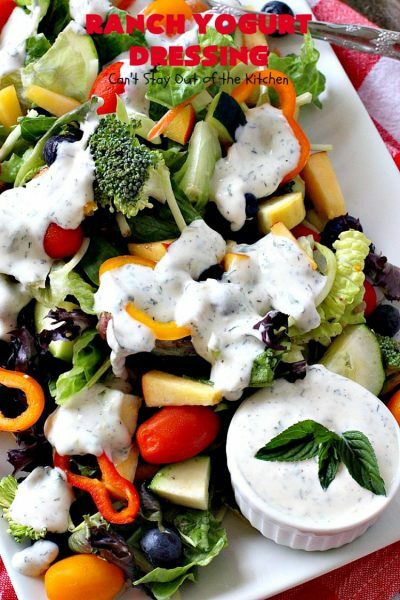 I’m always looking for healthy salad dressings to serve over salad. I will say I really like this as a substitute for Ranch dressing served with a Taco Salad. 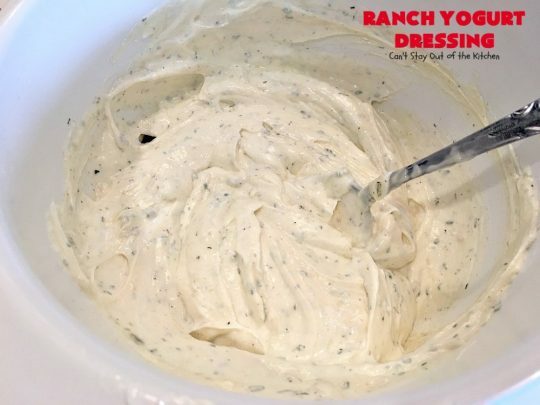 Ranch flavors really work well with that kind of salad. 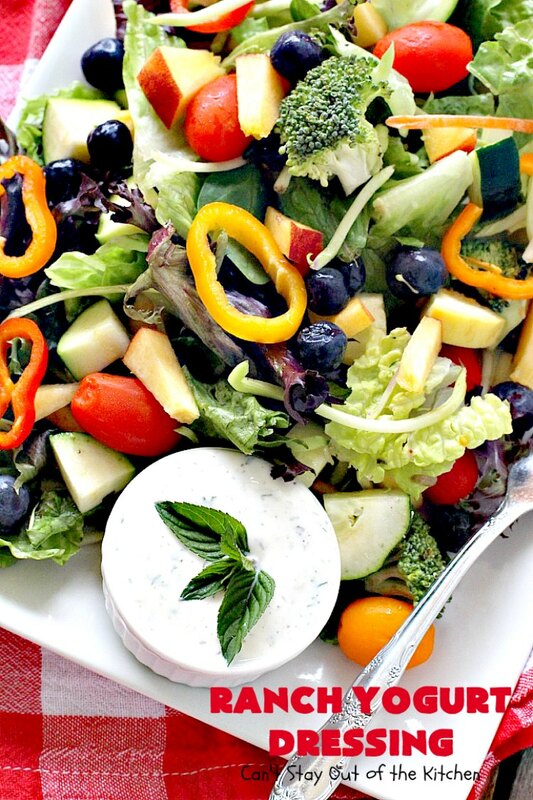 But it’s also terrific for any kind of tossed salad. 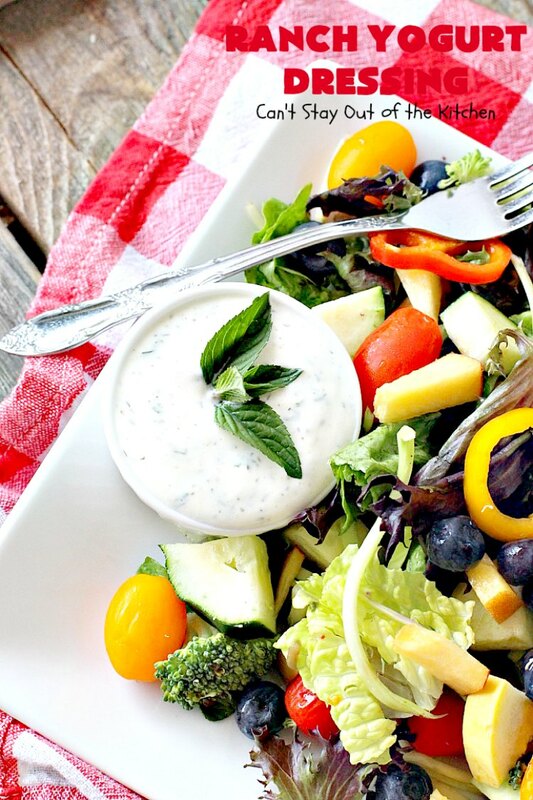 The nice thing about this Ranch Yogurt Dressing is it’s incredibly quick and easy to make up. [News flash: like 5 minutes!] Plus, it’s a healthy, gluten free and clean eating recipe. 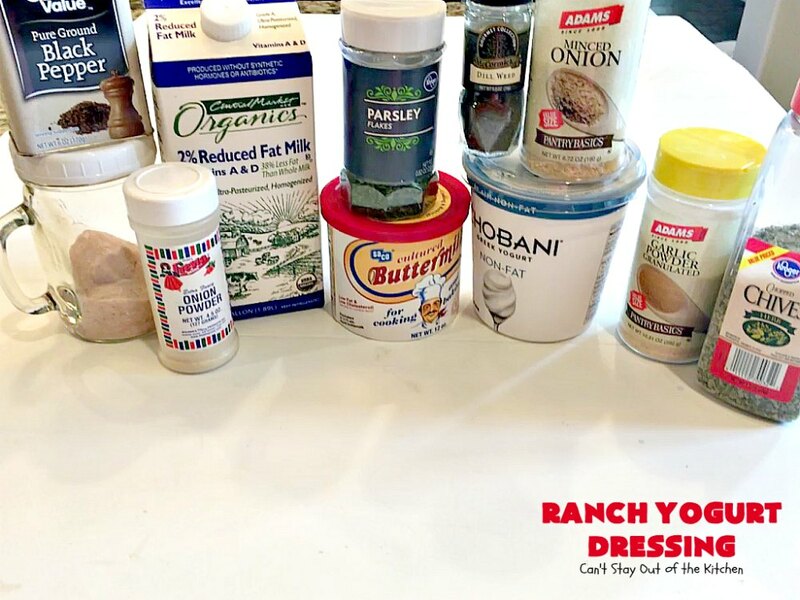 While you can always add other spices and herbs if you desire, I found it just right with the tasty flavors of Ranch Dressing Mix. 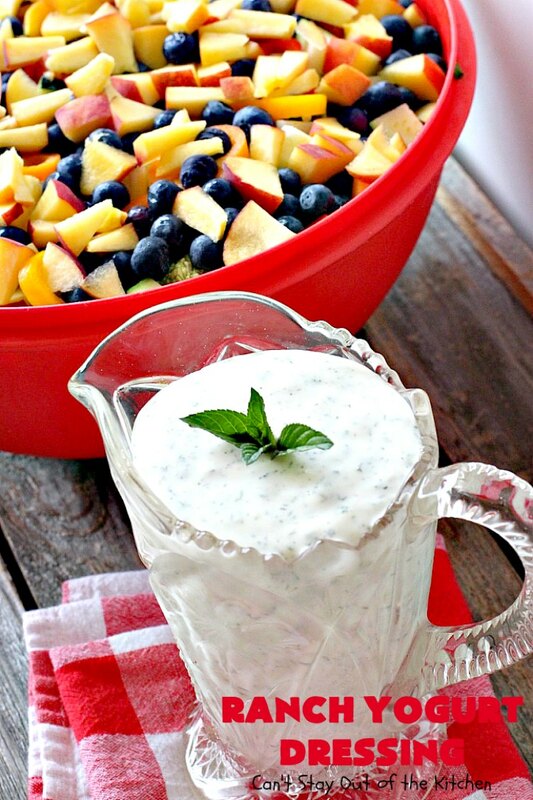 Give it a try the next time you’re in a pinch for a quick homemade salad dressing recipe. Ranch Yogurt Dressing is great served over any tossed salad, but especially Taco Salad. 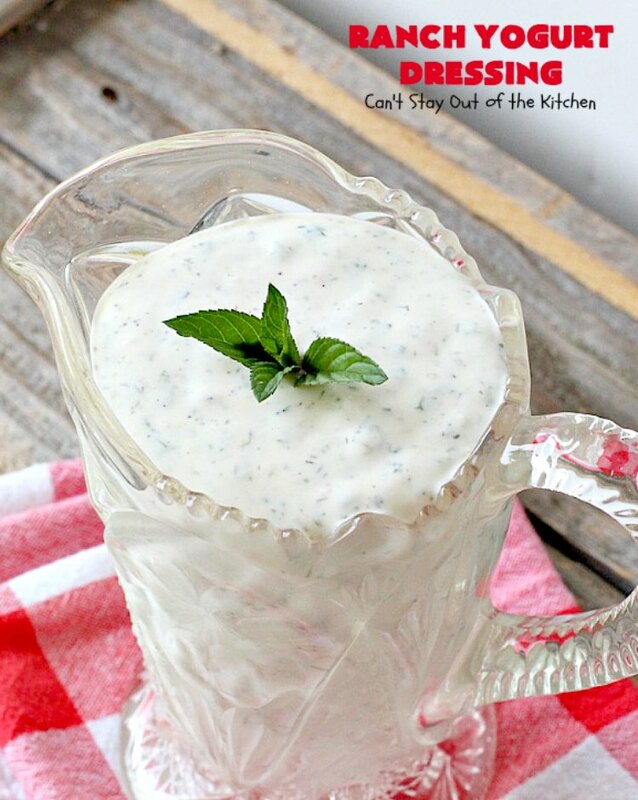 Ranch Yogurt Dressings is a very simple and easy homemade salad dressing recipe. 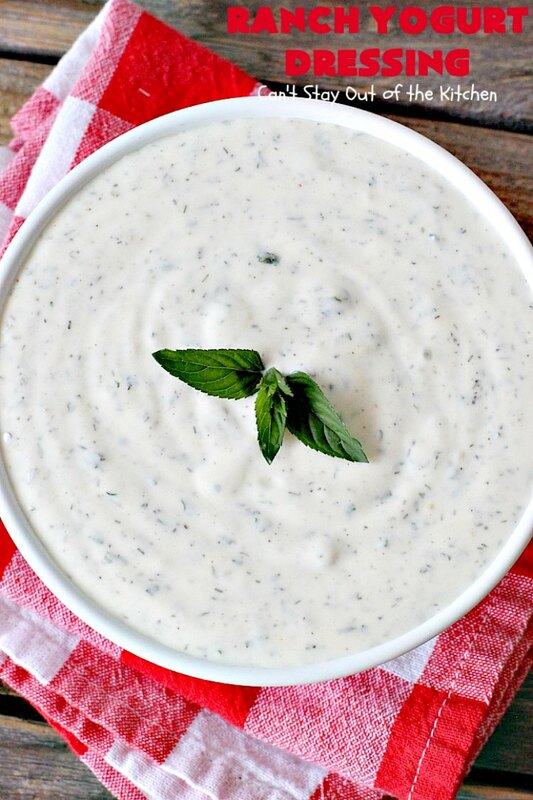 Homemade Ranch Dressing Mix works wonderfully with the smoothness of Greek yogurt and a little bit of milk. 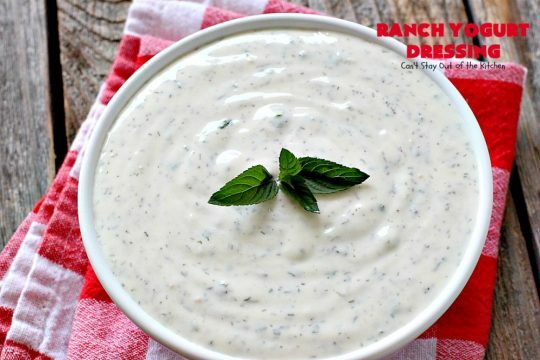 Ranch Dressing mix makes everything better! 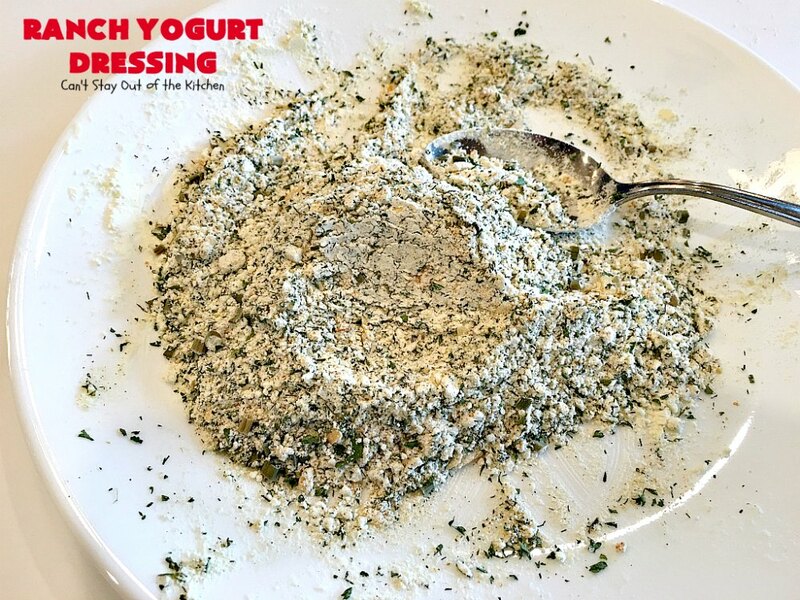 Combine dried buttermilk mix, chives, salt, pepper, dehydrated onions, dill weed, parsley, garlic powder, onion powder on a plate or in a bowl. Stir well to combine seasonings. Add Greek yogurt and combine. Add milk and thin the salad dressing until it’s at the desired consistency. While I chose to keep my salad dressing fairly thick, you can thin it even more than that is your preference. Serve Ranch Yogurt Dressing with your favorite salad. My salad had a combination of veggies and fruit. This delicious salad dressing combines Homemade Ranch Dressing Mix with Greek yogurt and milk making a quick, easy and tasty salad dressing. Healthy, gluten free and clean eating. Place Greek yogurt in a large mixing bowl. Combine dry buttermilk mix, parsley, dill weed, garlic powder, onion powder, onion flakes, black pepper, chives and sea salt. Whisk in milk as needed until the consistency of salad dressing. Yield: a little over one pint. 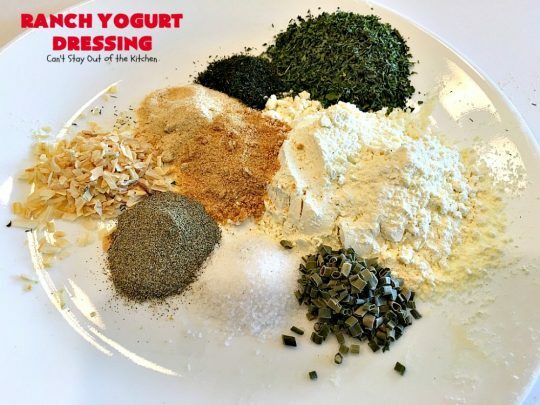 NOTE: Add more milk if desired, to bring the mixture to the pouring consistency of your choice. This clean eating recipe uses no oil or sugar. 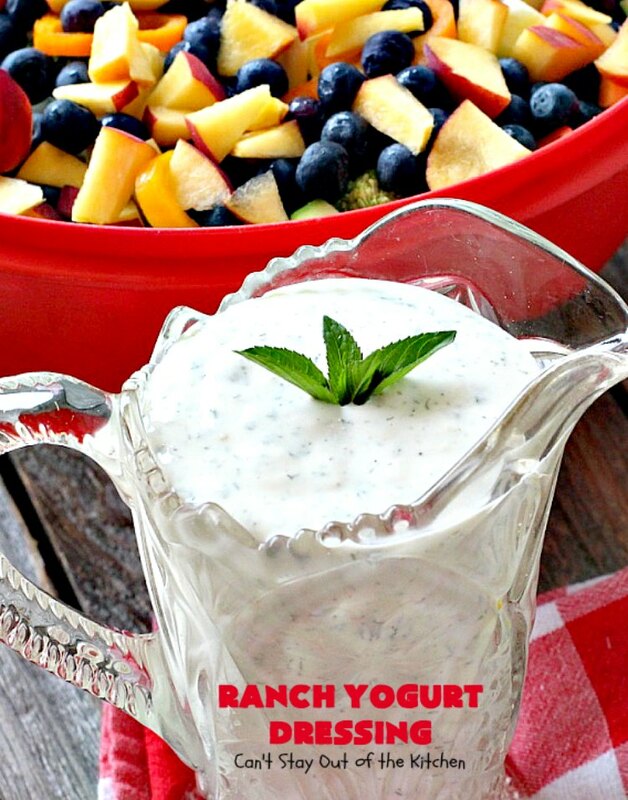 Ranch Yogurt Dressing is healthy and gluten free. 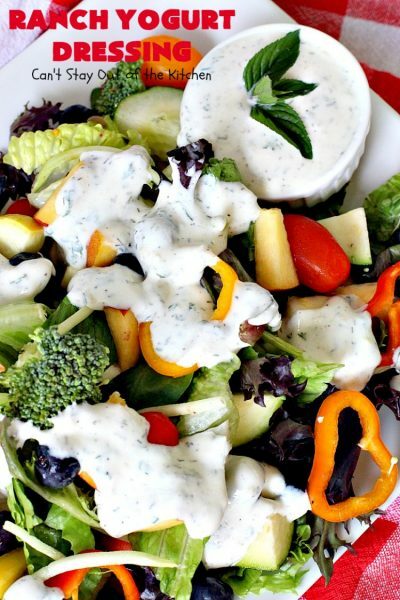 Every salad is a little better with Ranch flavored dressing!